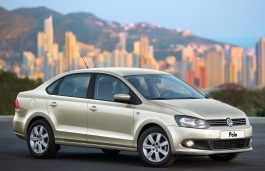 Correct Wheel Sizes, PCD, Offset, Rims and Tire specs for Volkswagen Polo series. 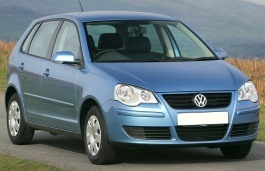 I am looking at buying some 16" 7j wheels for my 2012 vw polo 6r. The offset is 40. Will these fit straight in without any modifications? Also what size tyre would you recommend?. Hi, iv got a polo 6r with some 16" alloys offset of et35 and iv just bought some 17" alloys with offset et22 and I was wondering if anyone knows if these will fit without spacers and not rub etc. if not what is the best size spacers to get or is there any other way of making them fit? Hi will a 185/60R14 fit on my 1997 VW Polo? 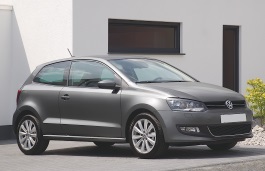 I have VW Polo comfortline TDI, make 2011. it is 47000kms now and time for having new tryes. Mostly driven in cities, good highway and sometimes on rural road. 1. Which tyres (make) shall be best. 2. Also advise on whether i can have bigger size such as P185/60R 15 for comfortline. Hi will these fit ? 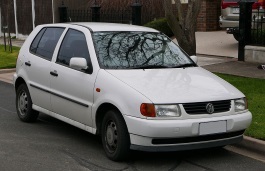 Vw polo 6n (1995) . Rim size 6,5x15 et 38 ? Will they rub ? If not , what tires should i use ? Hello prk_varma, what model year? Will there be any problem in driving or any disadvantage? Hi,Joe,Can you give more rims specs? 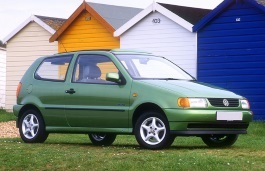 I have a VW Polo 2005 1.2 litre climatic currently with 185x60x14 tyres, could I fit wider tyres to the car for better grip? Hi,deepakje,you can change to 15'' rims,but need same pcd,cb,and offset(+-5mm is also ok.),the tire are also need 15'',185/60/r15. I have volkwagen polo diesel 1.2 trendline, car 42000km run, now want to change the tyres, current tyres are 175/70 but now i want to change to 185/70 , will there be any problem in driving or something if i do so. 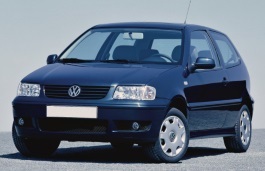 Hi i just bought a polo 1.4 td (y2000)i in italy, its has 14" tires, do you know the max " i can put legaly in italy? Hi,Nik,The max size is 16 inch. 205/55R16 tyres for 2007 VW Polo 1.8 GTI? Would 205/55/16 tyres fit on a 2007 VW Polo 1.8 GTI? Hi，Stephen,No,It can't fit for.235/45/16 is ok.
Hey, I have a 2011 vw polo 1.2 TDI and was wanting some information before I buy some wheels off you. I want some borbet wheels and was wondering what the best size etc would be. Not planning on lowering it. Hi,Jonathan,Borbet wheels is a good choice.You can condsider the deep dish models.For your car,I suggest you can put 17 inch car wheels in it.also with 17 inch tires. 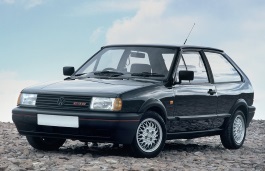 Can a set of standard 14" rims from a later Polo be used on a 1994 Polo Classic - if so from what model. Pot holes have taken a toll on the existing rims. Hi,BobH,Yes,you can take this way,Try 2001-2004 Polo.And for "bolts holes have taken a toll " what do you mean? "Pot holes" have taken a toll - our illustrious municipality has not bothered to repair damage caused by the summer rains. 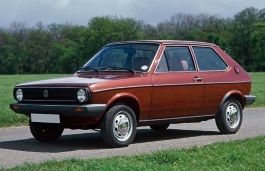 The existing wheels are 13" which I gather were only fitted to pre 1996 Polo classics. Is there enough room both for wheel turning and suspension movement? Hi,BobH,I think i get this meaning,13'' wheels change to 14'' will not make your tires rub your car body.It is OK.
Hi, I have a 1999 vw polo. I want to buy 16"x7" rims 4*100. ET inpress is 38. 195/40/16. Will these fit? Hi,Morgan,For your car,16*7'' and ET 38,195/40/16 is ok,But about the bolt pattern,Please make sure it is same with your old one. Hi, Morgan,Yes.16*7 rims can fit for your car. 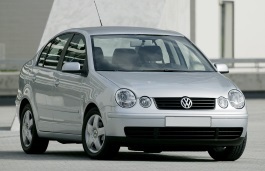 Hi, I have a 2007 9n3 polo that I want to put new mags on but im not sure which size is best between 15" & 17",if I put 15" wont I have to lower the car? Hi，Shawn,15" is best fit for your car.it can not lower your car. Hello I have just replaced tyre of 2009 swift desire with 175/65/R14 tyres but now I want to change the alloy wheel to 15" so will these tyre fits on 15" alloy wheels. Hi,Biraj,No.Same size wheels must fit for same size tires. 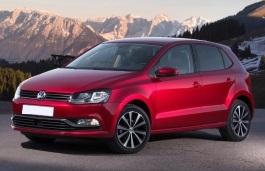 Hi,i have polo iv 1.4 75ps, now use 165/70/14.I am thinking about,175/65/14 or 185/60/14..If don't want to be so slow..Your opinion?Thank you.. 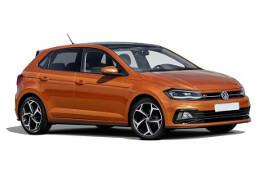 I have a 2014 polo 1.6 and I want to put all wides (8.5j) but not sure if this will fit at the front, please let know before i purchase the rimz. 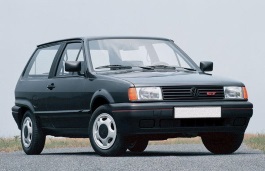 Hi, I have a 1995 polo on 13 inch wheels. I know the std tyre fit is 175/65/R13. But the tyres I want do not come in that size (they are B rating for wet/rain/snow/ice, and C rating for fuel). They come in 165/70 R13, 175/70 R13 155/70 R13. Which of these tyres will fit? My personal preference is for wider tyres rather than skinny biscuit tyres, if possible. 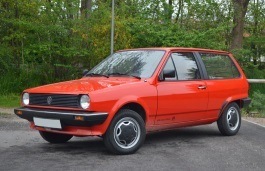 I have a polo gti 1.4. Original tires are using 215/40r17. But due to shortage of this tyre. What will be the effects if I adopt 205/40R17 tires. 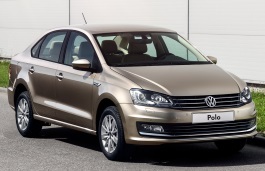 Hi, I have a polo 6 ,1.4 comfort-line, 2014. Will an 8.5j around work? What J would you suggest for front and rear? Good page for information, may i ask, if 15 inch wheels 195/50 r15 would fit a 1L polo e 2001 currently with 13 inch? Excuse if it's a daft question. Hi,Jimi,Yes.15'' can fit for.And Can you show your current tire size? Hi,Andysic,You can change to big size tires,such as 18''or 19'',or you can also change to low profile tires in 17''.And,if you want big size,you also need to change wheels. thanx anyway but in no way i wanna change wheels only tires. I m asking cause they told me that if i change tires my car will consume less gasoline... and it will have more power!?!? 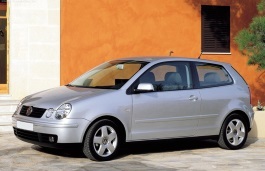 Hello i have a 2003 polo 1.4 automatic originally fitted with 185/60/14 can i fit it with 185/70/14 ? I have polo classic 1.4 2000. It has 4x100 14. Can i fit 16 ? Hi,polo classic,yes,you can use 16'' rims. Hi,Rims,If the current rims bolts number for your polo classic 2000 is 4.the rims can fit for. Hi. 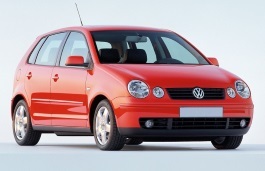 I have a 2006 polo S and was wondering can i put some 2006 polo GTI 16 inch alloys on it? 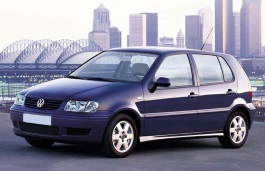 or the alloys from an 06 polo SE? I have a 6n1 1999 poli 1.4 8valve will 155/70/13 tyres fit the original steel wheels ? Hi,Max Atkinson,yes,the tire can fit for. I have a 2007 Polo GTI - it has 16" wheels. Will 15" VW wheels be OK? Hi,Matt101,What the bolt pattern and offset of the 15'' vw wheels? I have 2003 1. 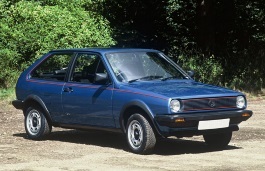 2 polo can I fit 195/50/15 on golf alloys. and what wheel bolt is suitable. 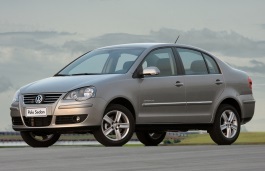 Can is use 165/80 R14 tyres for my polo 2010 model, instaed of 175/70 R14? Hi,sunil,No,these two tires size are not conpatible. 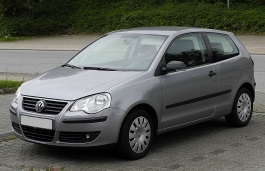 I have VW Polo 9n3 (2009 facelift), 1.2, 51 kw. Which wheel offset do you recommend for 14 inch wheel, 5.5j? i have option between 32 and 38 et. Hi,Kico,What your current wheel offset?Normally,The offset error is +-5mm. My current offset is 35, so +- 5 mm should be okay? Hi there, I have a 2009 Polo R6 and had my summer tyres and wheels pinched. Will a Borbet BL5 7" x 16" ET38 fit with 215/45 86H tyres, without adjustment? Hi,Ray,what the bolt pattern of that Borbet BL5 wheels?And for tires,You can show your current tire size,I can help you confirm it. Want to change to 15inch what will be the best profile tyres to get for the 15inch? Hi,Avashan,What your current 14'' tire size? Can Golf GTI rim fit Polo 2017? thank you. Can Golf GTI rim fit Polo 2017? Hi,Ashraf,Can you show the year and model of Golf GTI?I can help you confirm it. 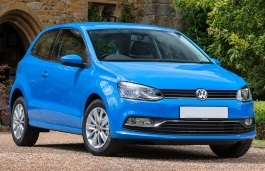 I have a VW Polo 1.2 TDi and I would like some information. I want to buy 17''x7,5'' ET38 car wheels bbs. Does it feet on my car? If it does, what dimensions of tyres do you suggest, 205/45 or 205/40? Will it be noticeable to reduce performance ? 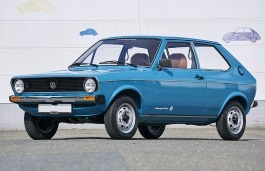 Hi,Kostas,What the year of your vw polo?I can help you confirm it.